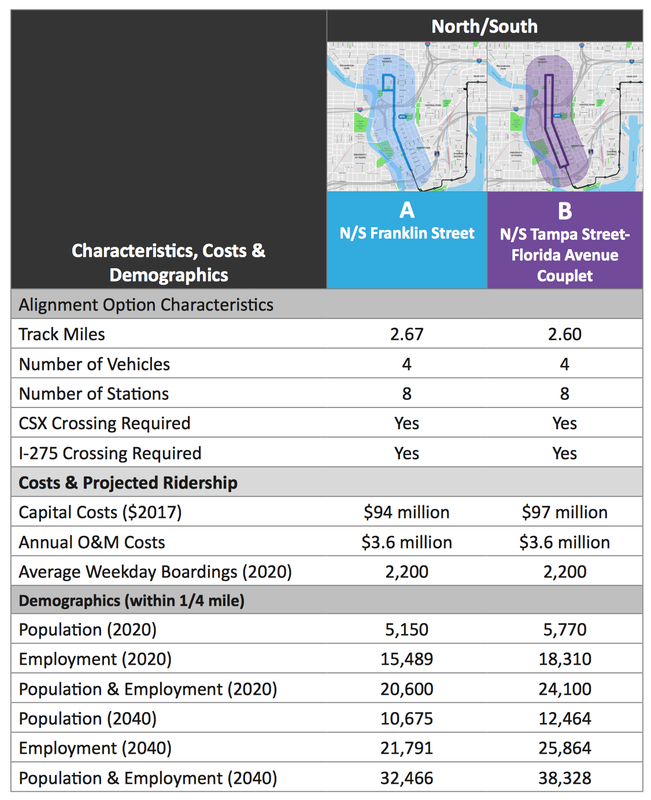 Yet another taxpayer funded study trying to figure out what to do with the Tampa Streetcar was recently released. 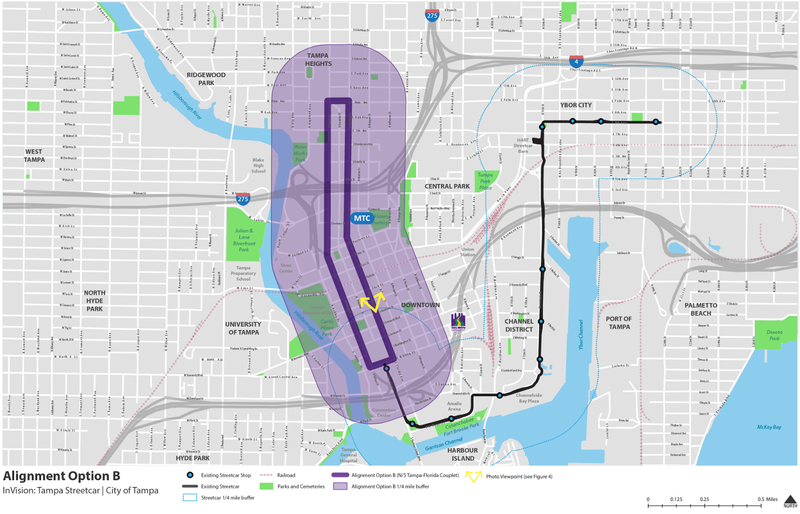 The plan to extend the TECO Line Streetcar system north through downtown got its first positive reviews from the public on Tuesday night. 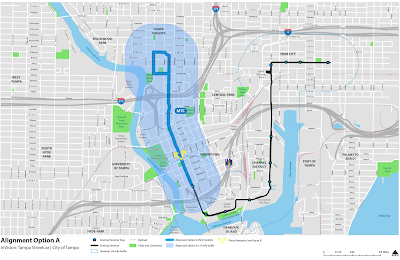 The streetcar system already runs from Ybor City to the Channel District. The aim of a $1.7 million study to look at expanding service is to choose the path to reach more of downtown and extend the system north to Tampa Heights. 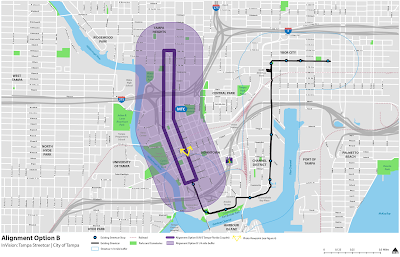 The Invision: Tampa Streetcar study selected two preferred routes for the extension of the existing 2.7-mile streetcar line. Both routes travel an additional 1.3 miles from E Whiting Street north to E Palm Avenue. In the Preferred Options Alignment Report, There are two finalist routes identified from the seven studied, both of which add a northern extension to the current 2.7 mile route. But it's not the first study. As recently as 2014, HART commissioned a study, which referenced several earlier studies. The one thing the Tampa Streetcar is good for is... more throw away studies, and wasting your money. One benchmark for investment is to understand how well similar investments in the past have performed. Well, we have one... in the current Tampa Streetcar, which HART breaks out in regular reporting to the Federal Transit Agency. Here is some data from 2016. 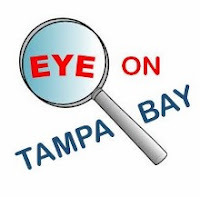 About 353 people per day use the Tampa Streetcar, for an average trip under 2 miles, of which 64% of the operating costs are paid by the taxpayers, not the riders. Not such good numbers. What does the extension study say about the proposed alternatives? These characteristics are very similar for these routes, as expected, since they are very similar routes. 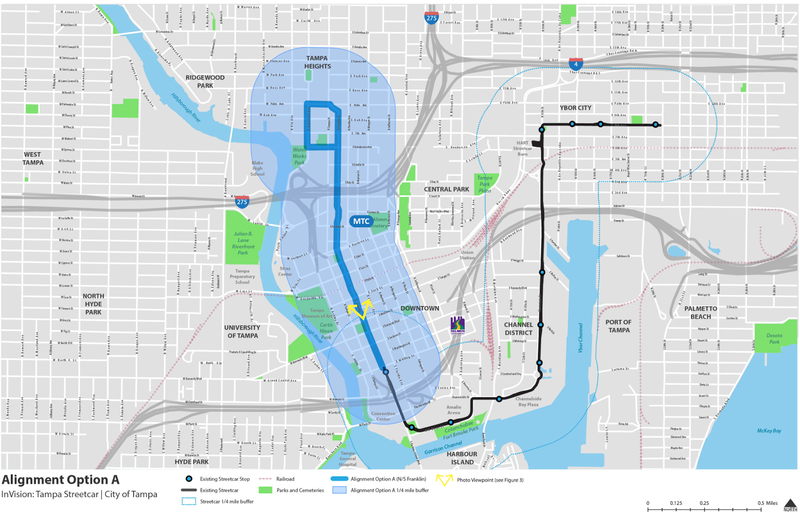 The project assumes enhanced transit service, whether provided by streetcar or another form of transit technology, will be provided along the extension and the existing historic streetcar alignment serving Ybor City, the Channel District, Water Street, and the Tampa Convention Center. The project assumes the full alignment—existing plus extension—will be designed to provide a “one seat” trip, maximize exclusive transit guideway opera ons, and over high levels of service with full-day and evening opera ons with 15-minute headways. As a result, a paramount assumption is that the same vehicle technology will be operated on the existing system and the extension. As identified in previous studies prepared by HART and depending on the final vehicle technology decision, modernization of the existing system may require reconfiguration of stations, changes in guideway alignment and additional double-tracking, upgrading of tracks on power distribution, and improvements to or replacement of the existing maintenance and service facility. In other words, they will want to do make the extension seamless with the existing track, and standardize the technology, buy and install a bunch of new technologies, but no decisions have been made on the technologies. But we know how much it costs. The 2200 weekday boardings over the planned 2.2 mile route is suspect as well. The current 2.7 mile route averages 785 boardings per day, so they are planning hoping for a big jump in riders. Or, based on the 2020 population estimates of 5150 people living within 1/4 mile, nearly 20% of them will ride every weekday. What else is missing? Well, it is a STREETcar study, that runs on the streets. There is no mention of potential impacts to vehicular traffic, particularly on the Tampa Street - Florida Ave couplet Plan B, both roads are major thoroughfares in and out of downtown Tampa. A few weeks after the city of Detroit began charging riders a few bucks per ride on its brand-new downtown streetcar, ridership dropped 40 percent, according to the Detroit Free Press. Sadly, few observers were surprised. The streetcar, dubbed the QLine, is carrying 3,000 riders per day, short of the projected 5,000 to 8,000 per day required to break even. Sure, it’s still early; the line opened in May. But a similar story is playing out across the country’s other 21st century streetcars: Pokey, infrequent, and generally disconnected from other transit, line after line keeps bottoming out. Atlanta saw a 60 percent drop in ridership after its 1.3-mile line, which opened in 2014, started asking for $1 per go. The line is in the process of being transferred from the city’s authority to the metro’s transit agency, which may consider making it free again. But it’s been bedeviled by administrative and financial issues. Since it opened in September 2016, Cincinnati’s Bell Connector line has seen about two-thirds of the daily ridership consultants predicted. Salt Lake City’s Sugar House line has fared even worse, with just about one-third of the passengers originally projected. Even Seattle, for all of its other transit successes, is seeing about the same sorry share of original predictions. And that's from the usually transit friendly Citylab. But developers love it! Transit oriented development to save the day, right? Nothing is inherently wrong with a streetcar beloved by developers, so long as developers are paying for it. But they’re not, at least not on their own. Taxpayers are picking up most of the bill for the 21st century streetcar renaissance—money which could otherwise support more effective forms of public transportation. Overall mobility suffers when transit dollars are diverted to projects that are more about real estate than riders. We are not excited about wasting more money on the Tampa Streetcar. We've seen this movie before. We've lived it the last 20 years.